Does your Professional Indemnity Insurance cover the BIM process? The growing use of BIM on construction projects raises some interesting points regarding the legal liability of the supply chain involved in the process. This also has implications on the Professional Indemnity insurance market and whether individual polices and policy wording can properly respond to issues which may arise out of the projects key documents (BIM appointment, contracts and protocols). At this stage the message from the Professional Indemnity insurance market seems to be that BIM Level 2 should not pose any serious difficulties if a ‘Federated Workflow‘ is implemented. The start of a BIM project is extremely unlikely to coincide with the renewal or commencement of an annual Professional Indemnity insurance policy. It is important that you inform your Broker if you become engaged in a BIM project for the first time to ensure that Insurers are aware and there are no policy terms or conditions that could be an issue. If you directly employ or designate someone within your studio to be a “BIM Coordinator” or “Model Manager” the services provided by this person should fall within the Professional Activities and Duties definition of the PI policy. However, a condition of cover is that the professional activities and duties must be undertaken by a professionally qualified person (usually a chartered construction professional), or a technical person having no less than five years’ relevant experience. The levels of cover available between the various contracting parties will not be consistent. For instance, the insuring clause of a Professional Indemnity insurance policy could be written on a “civil liability” basis such that it can respond to non-negligent claims. However, most contractors’ PI policies have insuring clauses written based on a “negligent act, error, or omission”, which would mean claims based on a fitness for purpose allegation are not covered. Upon being appointed on a Level 2 BIM project, the individual design team members continue to prepare their own architectural, structural or engineering designs using their own BIM authoring tools. Members then exchange their individual OPEN BIM models with the “BIM Coordinator” or “Model Manager”. This ‘Federated Workflow’ ensures that each discipline is responsible for the creation, development and change management of their own model, and therefore where responsibilities, ownership, and level of detail is clearly defined. The BIM Co-Ordinator is likely to be the project or design lead and have design responsibility for rule based clash detection and model co-ordination. The organisation or individuals undertaking these roles should fall within the professional activities and duties definition under a PI policy. To date underwriters we are engaged with have been relaxed by BIM level 2 with no specific premium implications or coverage restrictions. Using ‘Federated Workflows’, underwriters gain comfort from the fact that consultants have robust audit trails in place, with clear lines of responsibility and change control systems. We are also starting to see specific BIM clauses within construction appointments which consultants are required to observe. In addition, questions on renewal proposal forms in the relation to BIM and BIM processes are becoming more common. This is a role as defined under the CIC Scope of Services. The main responsibility is to manage the process of information exchange, policing compliance with the protocol and the security of the BIM models. The Information Manager has a key role in setting up and managing the Common Data Environment (CDE). The CDE is a critical tool for effective collaboration, quality control and avoidance of waste. Due to the importance of Information Management to the BIM Strategy this role is mandated in the BIM Protocol. Managing a project using processes set out in PAS 1192:2 the Information Manager is responsible for the exchange of all project information (non graphical data), not just Building Information Models (graphical data). The role is not expected to cause Insurers concern on the basis that all design responsibility is to remain with the design team. This is on the basis that the role is no more than a procedural check on data and limited co-ordination and not a full design check activity. If the role is to be performed by a party not responsible for the design and is beyond a simple procedural role this may cause Insurers concern. 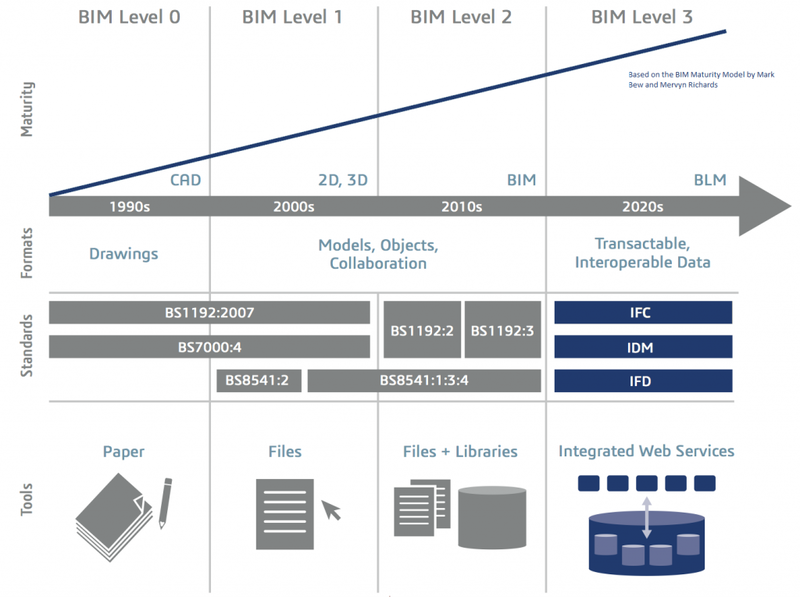 BIM level 3 involves further integration with the parties to the project, where all of the project team contribute towards a single fully integrated model, rather than developing their own models individually. This raises the question of identifying responsibility if something goes wrong and clearly there will be a need for full traceability and restricted access requirement to be able to identify later who made changes and when. It is this aspect, along with taking on liabilities not necessarily known at the time a job is taken on, that potentially gives Insurers concern. BIM level 3 has inevitable contractual and insurance cover implications which will require refinement and consideration going forward. In addition, BIM inherently introduces cyber type risks with greater electronic data and multiple parties using the model as well as safeguarding intellectual property rights over the shared Common Data Environment. If you are about to embark on a BIM project or undertake the role of BIM Co-Ordinator, Model Manager or Information Manager you should disclose your involvement to your Broker or Insurer immediately. Ensure your Broker has sufficient knowledge of these activities so that this can be relayed to your Insurers. If you have the key documents to pass through to your Broker (BIM appointment, protocols and contracts) you are well on your way. If you need further assistance, the BIMsure Professional Indemnity Insurance approach is simple; understand the profession, understand the exposure, understand each risk and tailor the terms accordingly. BIMsure online quoting system is now live offering a standard question set (5 minutes to complete) which constitute a statement of fact. Questions around the BIM process have already been incorporated. Please click here to register your interest and obtain a quotation.